Map Club spent last Friday’s session exploring geojson.io, a simple, open-source editor for map data. 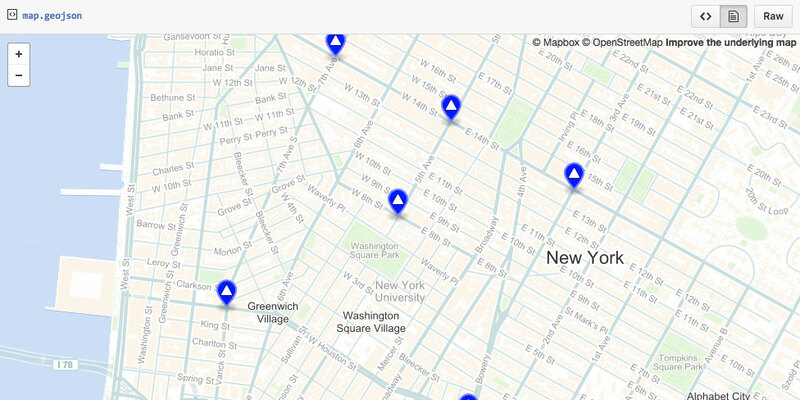 geojson.io seeks to be a quick tool for creating, viewing, and sharing maps. 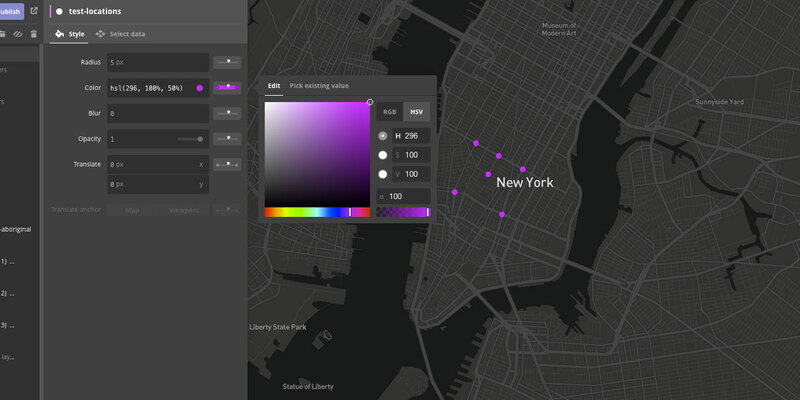 Compatible with a number of different data formats, the interface of the tool offers basic styling functionality, as well as enables Github users to turn any map into a shareable secret Gist for collaborative viewing and editing. 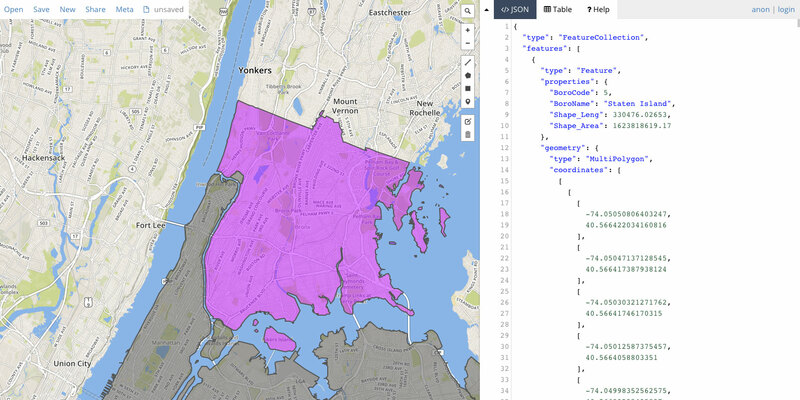 geojson.io proved especially useful for converting data into a web-ready format for integration into an external library, such as Mapbox or Leaflet.js. Thank you to everyone who attended, and look forward to seeing you next Friday! By the way, Map Club has a mailing list! Sign up here if you would like to receive updates on future sessions. For this session’s resources and materials, visit the Map Club Github repository. This entry was posted in Events, Workshops & Training and tagged geojson, geojson.io, map club, mapbox on October 3, 2016 by Emily Fuhrman.